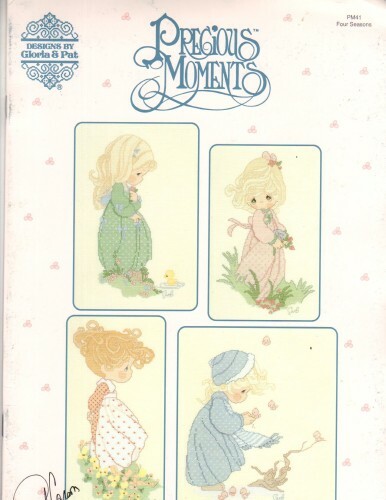 Designs by Gloria & Pat PRECIOUS MOMENTS Four Seasons PM41 counted Cross Stitch Pattern booklet. Signed on cover by Pat Carson. Winter's Song, The Voice of Spring, Summers Joy, Autumn's Praise, Afghan borders. Appears new. Some very minor shelf wear at corners.